Now look at the physical appearance of bulk shark. This animal has flat and broad snout. 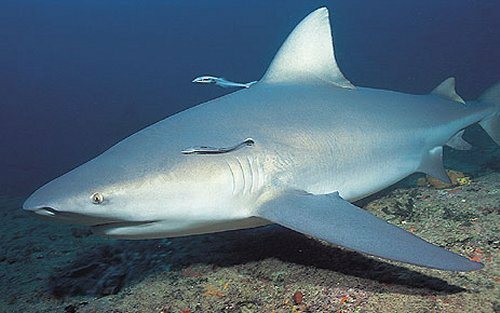 Bull shark is a familiar shark in the ocean. The animal actually can live well in fresh water and sea water. Many people sometimes call it with different names such as Ganges river shark, Nicaragua Sharks or Zambezi Shark. 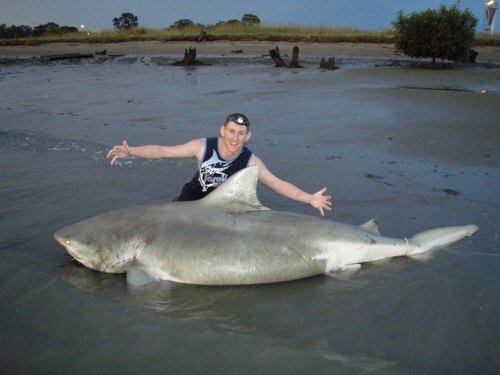 If you meet bull shark on the ocean or fresh water, it is better for you to swim faster. This animal is considered as one of 3 sharks to kill human being. The animal has a very aggressive nature. Thus, many people call it as a Pit Bull of the sea. Other two sharks that may kill people include the tiger shark and great white shark. Whale shark facts can be seen here. The salt concentration in most sharks is similar. Bull sharks are special. They only have 50 percent salt concentration in the blood. There is no need to wonder if the bull sharks can change the habitat from the sea water to the fresh water easily. When they swim in the fresh water, they will produce 20 times more urine. The bull sharks reach their maturity when they are 10 years old. The weight of adult bull sharks is around 300 kilogram with the length at 11 feet or 3.5 meter. When it comes to the size for the body, female bull sharks have bigger size. They also live longer. 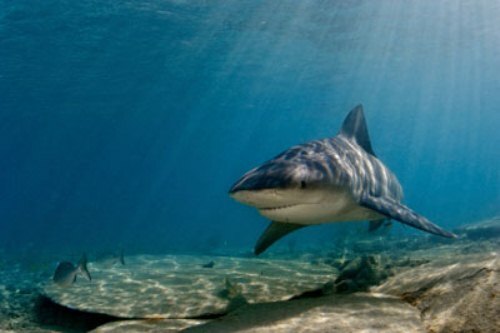 The female bull sharks can reach the age up to 17 years, while the males can only live around 13 years old. See narwhal facts here. Bull sharks often migrate. You can find them not only in the ocean, but also fresh water lake and river. They like to stay in the depth of 150 to 500 feet because it makes them feel warm. There are several favorite places of bull sharks. They like living in the Pacific, Indian and Atlantic Ocean. You can also spot them living in various rivers such as Mississippi River, Amazon River, Ganges River, Brisbane River, Potomac River, and Brahmaputra River. If you want to spot them living in lake, you just have to go to Lake Nicaragua and Lake Ponchartrain. Bull sharks are included as social animals. They can be found living in a group and hunt the preys together. 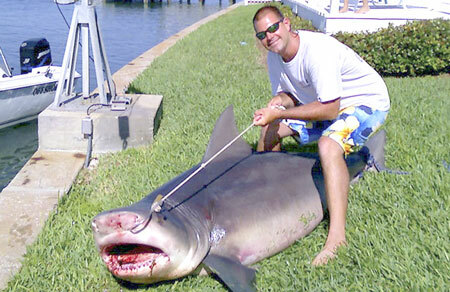 The main diet of bull sharks includes small sharks, birds, turtles, and fish. The animals like to eat anything surrounding their habitat. Do you like the facts about bull shark?